Madonna’s MDNA is five years young today – read and see all about it! Madonna Dance Mix Record Store Day 2017 – 50 copies in the Benelux only? We have a discount code for all of our visitors heading to worlds’ largest record and CD fair in Utrecht on April 8 and 9. The code is: Love3, use this and you will be charged EUR11,50 instead of EUR14. 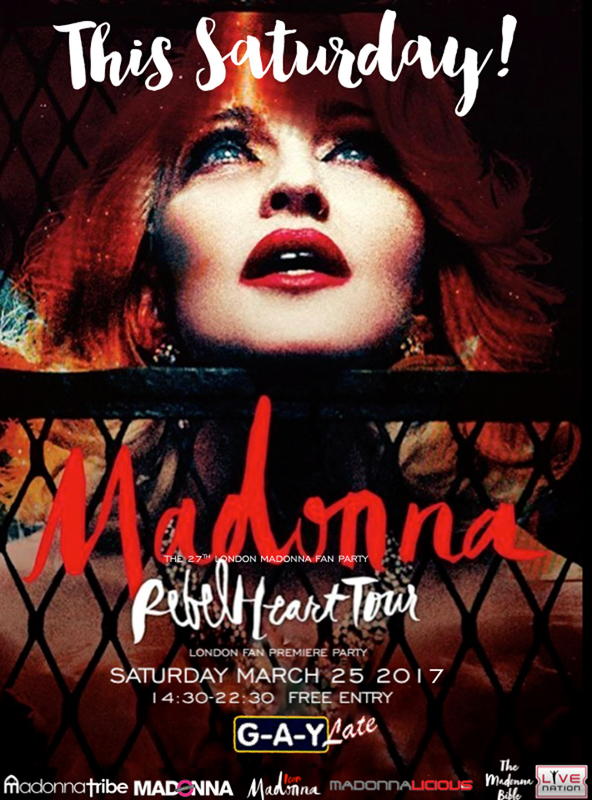 Rebel Heart Tour London Premiere Fan Party this Saturday at G-A-Y Late! TURKEY: International pop star Madonna will soon visit Mawlana Jalaluddin Rumi’s adopted home of Konya, Turkey, a Turkish newspaper reported Thursday.